How to get a library card? The Grandview Branch first joined the Spencer County Public Library system in 1987. Before Grandview merged with the Rockport Branch, the library system was Rockport-Ohio Township Public Library. Grandview offers services for all ages, including story time, computers, genealogy, fax, copier and many other services. What may I borrow once I have a library card? 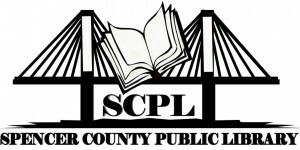 Once you obtain your SCPL Evergreen Indiana library card you are allowed a max checkout of 100 items. There is a limit of 10 DVDs, but books, audiobooks, cd-music, and magazines have no limits outside the 100 item limit. How long is the loan period? What if I want to keep it longer? What do I do if the library material I want is not on the shelf? Holds may be placed on most items in any Evergreen Indiana library. Patrons may place their own holds via the OPAC, and may select their pickup location and notification method. The software will refuse holds requests which do not conform to Evergreen Indiana policies (e.g. an attempt to place a hold on an item with a 6-month age protection). Patrons may choose any pickup location for holds. Patrons may have 20 unfilled holds in the system and will have one week after the hold is filled to pick up the held item. My library card is expiring, how do I renew it? To renew your library card you must present your card and current photo ID with current address to the librarian and be in good standing, i.e. any balance on your account must be under $10.00. If the information on your ID matches the information on your library account, your card may be renewed. If the information does not match, you will be asked to return with a recommended item to prove your residence.